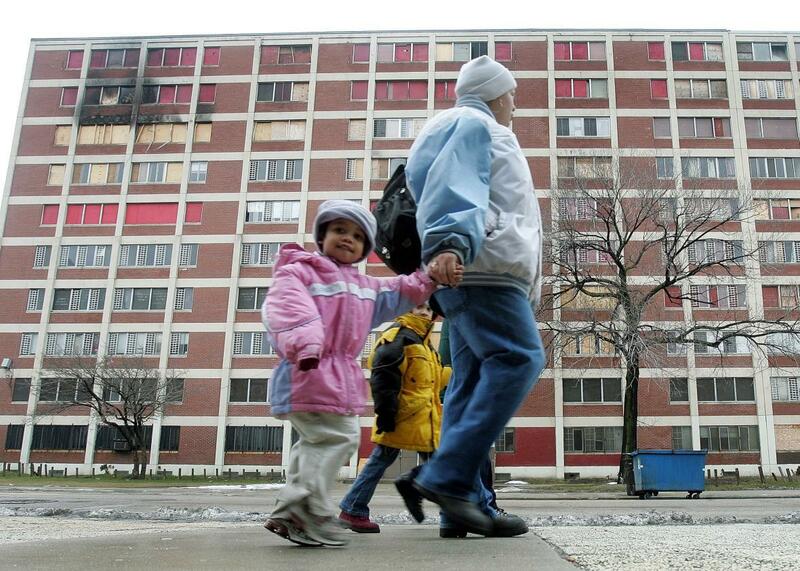 Getting poor kids out of poor neighborhoods helps even more than we thought. Relocating from a low-income neighorhood to a wealthier one has significant benefits for kids. It’s well known that poverty is not good for children. Kids who grow up poor have higher rates of asthma, obesity, and poor language development and are likely to experience toxic stress, which can lead to lifelong physical, psychological, and behavioral difficulties. New research from Eric Chyn, an economist from the University of Michigan, tells us that a good way to obviate some of these effects is by allowing more poor parents to raise their children in economically diverse neighborhoods. Chyn’s findings build upon those of Harvard economist Raj Chetty, who looked at the effect the 1990s federal housing voucher lottery program, Moving to Opportunity, had on participating families. Last year, he published his finding that kids under the age of 13 whose families had received a voucher and moved to lower-poverty neighborhoods ended up earning higher wages as adults than the kids of families who didn’t. The new research adds two more important points: First, Chyn found that children of all ages, not just those under 13, benefit from the move. Second, in Chetty’s research, all the families who moved were those who applied for the voucher in the first place—something done by only a quarter of eligible families. Chyn argues that these families were the ones more motivated to get out of the projects in the first place, leading him to believe that those children who moved had the pre-existing advantage of having parents who were especially concerned about their well-being. His findings show that children of parents who aren’t especially determined to relocate to a better neighborhood also benefit from the move. More evidence of the power of housing vouchers appears in a paper that was published last December by University of Chicago economists Bruce D. Meyer and Nikolas Mittag. They found that these vouchers, which give people a chance to move out of the projects and into better neighborhoods, are the most effective of all the anti-poverty programs. This was especially the case for single mothers and their families, nearly a third of whom live below the poverty line. While there’s some research suggesting that living in mixed-income neighborhoods can have a few negative consequences for low-income children, most studies suggest that it leads to positive outcomes. There’s evidence that minority students who attend integrated schools do better academically and professionally, and some say that integrating schools is an effective way to close the achievement gap between rich and poor students. Also, research tells us that the education of middle- and upper-income kids is not compromised by sharing a classroom with less wealthy children. It’s unfortunate, then, that since the recent recession, U.S. neighborhoods have gotten less economically diverse. A new report from Brookings shows that poverty has become more concentrated since 2009, and this is happening twice as fast in suburbs, where communities tend to be more isolated than in urban areas. As all the research on children and income diversity makes clear, this is a move in the wrong direction. * Correction, April 8, 2016: This piece originally misstated that children who relocated were nine times more likely to be employed as adults as children who stayed behind. They were 9 percent more likely.